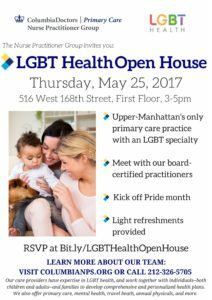 Come visit the only primary care practice in Upper Manhattan that specializes in LGBT care! 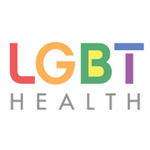 At ColumbiaDoctors Primary CareNurse Practitioner Group in Washington Heights, our practitioners provide culturally competent, integrated and specialized primary care and behavioral health services to LGBT patients. Services include: transgender health including hormone therapy, HIV pre- and post-exposure prophylaxis, sexual and reproductive health, HIV/STI testing and care, mental health services, primary and preventive health screenings, and more.